Flanagan Orthodontics’ top priority is to provide you with the highest quality orthodontic care in a friendly, caring, and comfortable environment. We recognize that every patient has different needs and we pride ourselves in the courteous service we deliver to each person who walks through our doors. Whether you’re an adult, adolescent or child, orthodontist Dr. Tom Flanagan and his team are committed to helping you achieve the smile you deserve – a healthy, beautiful one! Visiting the orthodontist is very different than it has been in the past. There are many treatment options available today, including traditional or cosmetic ceramic braces, self-ligating braces (i.e. Damon System), or nearly invisible aligners called Invisalign and Invisalign Teen. 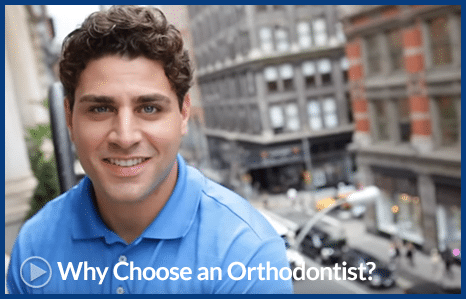 Choosing the right orthodontist to formulate a customized treatment plan to fit your needs is just the start. Our orthodontic team is friendly, knowledgeable, committed, and very enthusiastic about helping you from the moment you walk in the door, until treatment is completed. Throughout the years we have witnessed the positive effect that excellent orthodontic care can have on the lives of our patients! Our reward comes from seeing the beautiful smiles we help create and the enhanced self-confidence that develops during treatment. Contact our office today to find out how we can help you create the smile of your dreams. Serving the orthodontic needs of patients in Fort Oglethorpe, Ringgold, Chickamauga, LaFayette, Flintstone, Rock Springs, Trion, Rossville, East Ridge, and Chattanooga.